1. Bold is the new black. There’s something alluring about a brightly printed top. You may have spotted this gem on the What Team LC is Wearing post; my team and I love it that much! 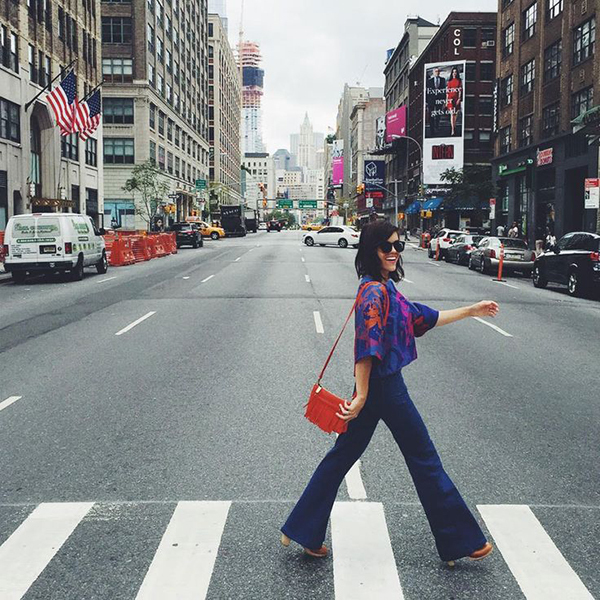 I adore how Love Taza paired her printed top with wide-leg jeans and an equally as bold shoulder bag. There’s nothing I love more than a versatile swing dress. The best thing about this piece is it can be dressed up or down and layered to perfection (depending on the weather!). Since it’s not exactly chilly in California, Amber Fillerup of Barefoot Blonde accommodated the heat by accessorizing with dainty accessories and strappy gladiators. 3. Be a monochromatic maven. The best thing about an all black outfit is that it’s flattering on just about anyone. This fall you can be sure that I’ll be donning this effortlessly chic look. Kick a monochromatic outfit up a notch by mixing textures like Styled By Noir did with her faux leather leggings. There’s no doubt that fringe is going to see us through to the end of the year. Put a little suede into the mix and you’ll be on trend for seasons to come. Stephanie of The Style Bungalow knows what I’m talking about! I love her simple t-shirt and matching clutch as well. This fall prepare to take a trip back in time. From wide-leg trousers to the cute cropped pants above, it’s time to embrace your inner ‘70s vixen. 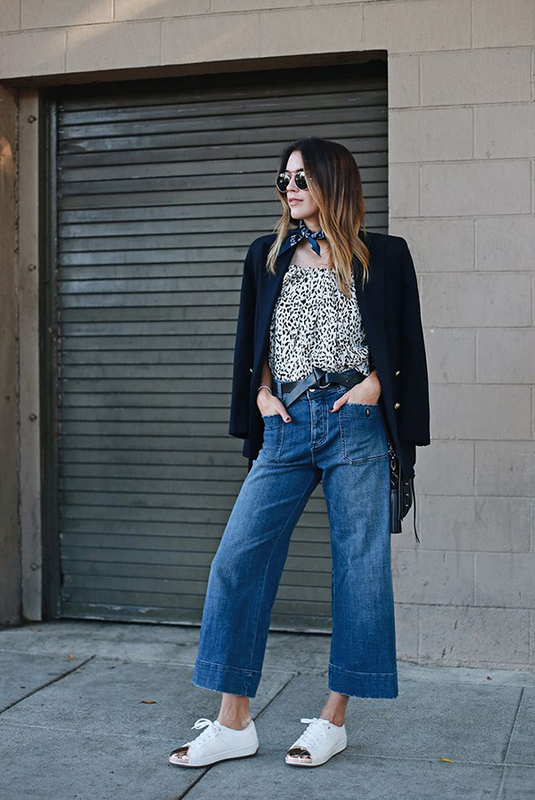 Brittany of Thrifts and Threads keeps this trend modern with her gold-toed sneakers and navy blazer. For me, plaid is synonymous with autumn. From scarves to flannel shirts, you can never have enough of this timeless print. Brie of Sophistifunk wears her plaid shirtdress as a statement pairing it with minimal accessories and chunky heels. 8. An award winning combination. Don’t put your mini skirts away just yet! The key to transitioning your summer wardrobe into the next season is to layer. When the weather cools down, pair your mini skirts with tights for an effortlessly cool look. Sheryl of Walk In Wonderland is keeping it cozy (and fashionable!) with an adorable fringed sweater, printed mini skirt and polka dot tights. No season is complete without an “it” bag. Lucky for us, fall has proven to have a few options in that department. From bucket bags to statement clutches, you just can’t go wrong. 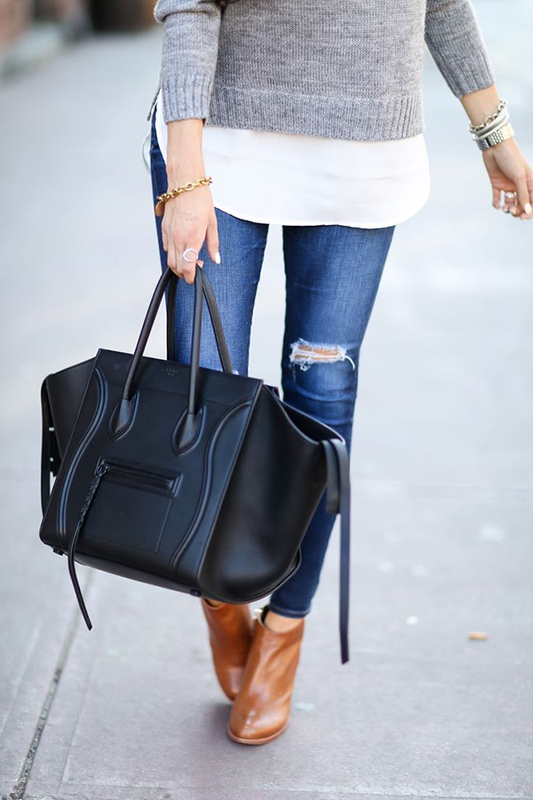 I’m especially smitten with this versatile black tote. 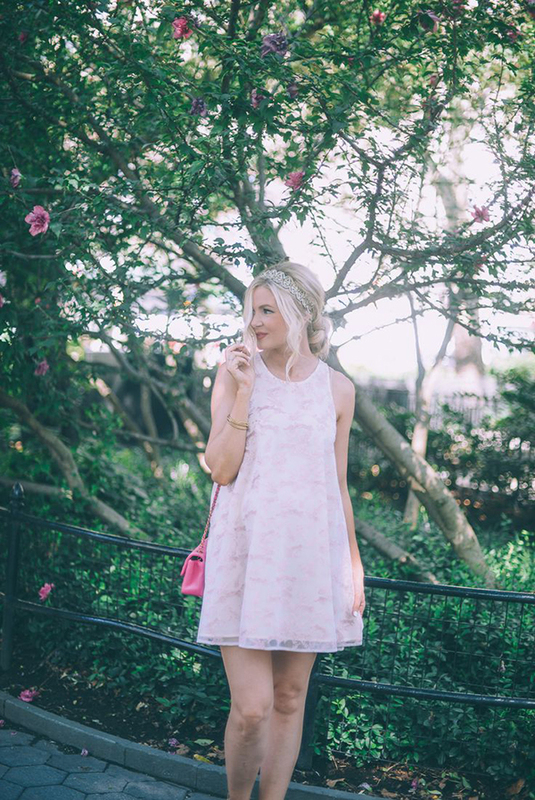 Emily of The Sweetest Thing keeps her outfit neutral and leaves all eyes on her gorgeous bag. 10. Power to the pants. As you can tell by now, this month is all about pants. The boyfriend cut of these slouchy trousers is the perfect contrast to a feminine blouse. In true October spirit Amy of Fashion Jackson is seriously nailing the black and burnt orange look. This is an outfit I’ll definitely be taking a style tip from! What looks are you looking forward to rocking this season?